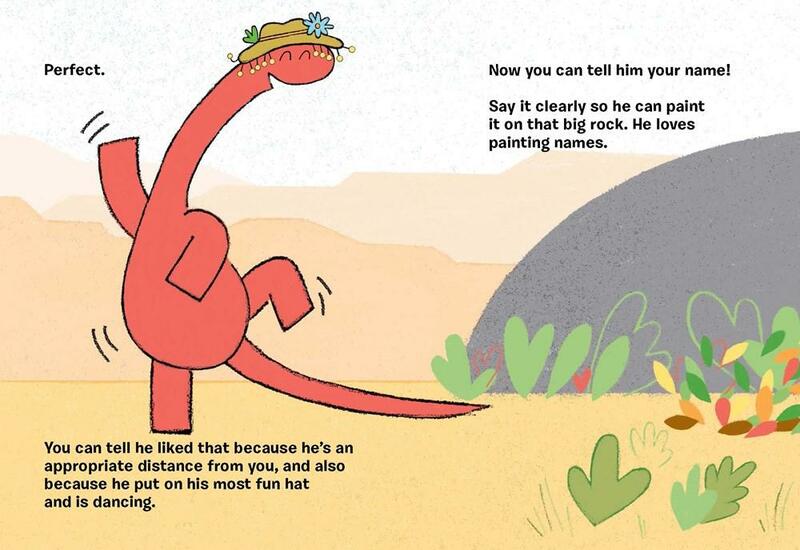 Summary: Crunch is a big red dinosaur, who is also very shy. Readers are instructed by an omniscient narrator on how to approach him. If they greet him too loudly, he hides; too softly and he gets “uncomfortably close” to hear what’s being said. They’re told to sing him “Happy Birthday”, and to introduce themselves to him. The final instruction is to say good night to Crunch, and to lie down to show him how it’s done, making this a good choice for bedtime. 40 pages; ages 3-7. 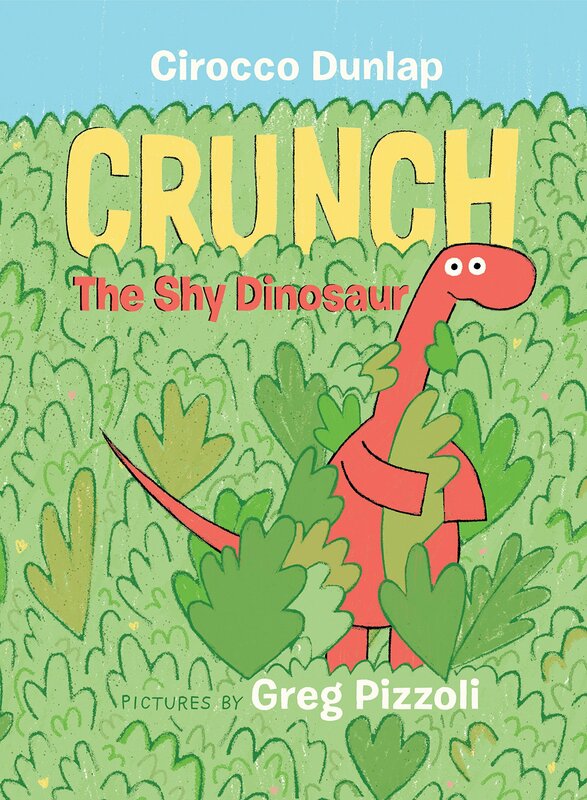 Pros: Kids will love Crunch, endearingly portrayed by Greg Pizzoli, and will get some good practice on making their voices soft and loud, as well as learning how to introduce themselves and be friendly without being overwhelming. Cons: Crunch seems overly skittish.